Join this brand new tour to London for a glimpse into the lives of the rich and famous! Included is a visit to Hampton Court Palace, Althorp House, and a memorable cruise along the River Thames. This four star hotel boasts a restaurant, bar, café and leisure facilities including an indoor swimming pool, fully equipped gym, sauna and steam room. All bedrooms are en-suite and include air conditioning, telephone, safe, TV and tea / coffee making facilities. This hotel has a lift. Your holiday includes free time in London and entrance to the attractions below. Experience the public dramas and private lives of Henry VIII, his wives and children in the world of the Tudor Court. Discover a second magnificent baroque palace built for William III and Mary II and explore the magnificent gardens. 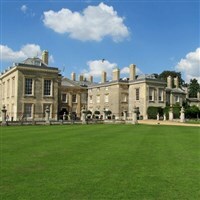 - We include a visit to Althorp House, the classically beautiful Grade I listed stately home, built and inhabited by the Spencer family and of course, childhood home and resting place of Diana, Princess of Wales. Explore its stunning interiors and private collections of furniture, pictures and ceramics. 'Rich & Famous' Thames Cruise - Enjoy a memorable cruise along the River Thames, offering a glimpse of "Millionaires' Row". See the homes of celebrities, captains of industry and commerce, oil rich Arabs and lottery millionaires as we glide along the river. Due to Clarence House being closed for refurbishment, we will now be visiting Hampton Court Palace instead, this is a change from our advertised Itinary published in our 2019 brochure.